Walking into the brand new High St. Hop House feels like you’re walking into a vintage, historical space and leaving everything modern behind. As soon as you walk in, the calming atmosphere engulfs you with dim lights, comforting music and a huge smile from the bartender. You can enjoy plush window seating immediately on your left or belly up to the bar to browse the abundance of drink options. As you sit down, the beers on tap and the plethora of bourbons are visible behind the bar and the bartenders are excited to help with any questions. The Black Walnut Manhattan and the Peachy Keen are two bourbon drinks that are sure to please while the Fat Head Starlight can be a nice and easy on-tap option. The owners of High St. 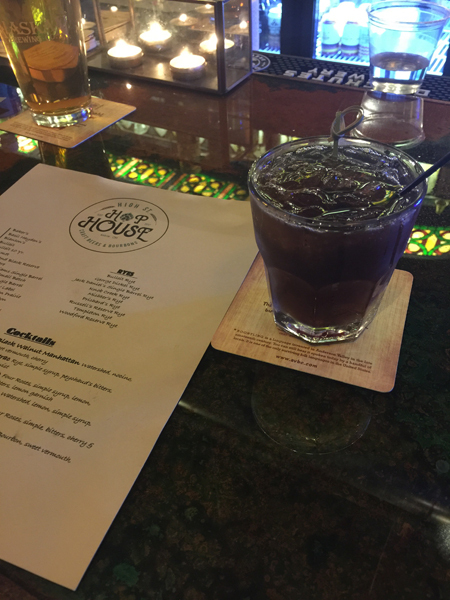 Hop House, Mike Troppe and Will Murphy wanted to bring a vintage feel to Downtown Akron and accomplish that with the old building that was built in 1810, the old cash register and old bottles displayed behind the bar, and old-fashioned seating. Since Uncorked Wine Bar and High St. Hop House are under one roof and attached by a doorway, customers can enjoy both sides during their stay. An added bonus is being able to bring your drink with you, no matter which side you choose to stay on. You can enjoy live music at Uncorked while sipping on a bourbon from next door. High St. Hop House provides an easy, old-fashioned vibe while Uncorked has a more modern, artsy feel to it. 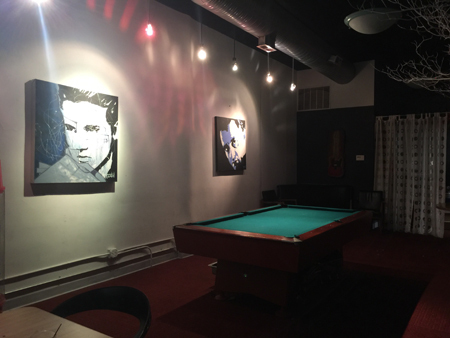 The back room and back deck of the establishment provide additional seating and comfort with a pool table, unique art, darts and additional games to enjoy with friends. High St. Hop House is located at 20 N. High Street and will be open Tuesday through Thursday from 5 p.m.-12 a.m. and Friday through Saturday 5 p.m.-2 a.m.
For more information, visit their website and find them on Facebook and Instagram.